The exponential growth of blockchain technology worldwide has been well documented. According to the data-gathering site Statistica, the global market for blockchain technology is expected to continue its growth, expanding to an estimated $2.3 billion by 2021. On the heels of this rapid growth trajectory come concerns of a massive blockchain expertise shortage. Blockchain developers, amid this uptick in activity, are already rapidly becoming a rare and expensive breed, a trend that could have a chilling effect on overall industry progress. Smart contracts are complex, and any bug can have an adverse impact on the advancement of a project. There is a lack of understanding on the part of companies in how to translate data from a blockchain into something useful for employees and customers. Unibright is a German-based company that has shown promise in bringing targeted solutions to the resources planning space. As system integration specialists, Unibright’s staff brings a compelling value proposition to all genres of business that need to connect different systems, data formats and other elements of blockchain solutions. Through Unibright, blockchain technology can become the solution to a myriad of pain points felt by a range of companies. Unibright has built a framework enabling business process specialists to integrate blockchain technology workflows into the current IT landscape without the need for blockchain domain specialists. Launched in 2017 from SPO consulting, Unibright is taking its more than 15 years of business integration, enterprise resource planning consultancy and software development experience to the blockchain domain. It has created a unified framework for blockchain-based business integration where business workflows can be presented visually and smart contracts can be generated automatically. Unibright’s team of developers possess over 20-plus years of experience in business integration. Recognizing that many enterprises have a strong interest in blockchain technology but are uncertain in how to effectively employ it, Unibright wants to help. The advancements taking place through Unibright highlight the enormous utility of blockchain technology, especially for B2B use cases. Companies generally prefer not to have to employ technical specialists for every different blockchain that exists. These enterprises recognize that their time, energy and attention should be focused on strategic business demands and not on technical details. Unibright makes it easy to integrate blockchain technology into an existing business. Users can select a template for their specific case and visually customize the business integration workflow. Unibright will then automatically generate all of the elements needed for full blockchain-based business integration involving smart contracts, smart adapters and smart queries. 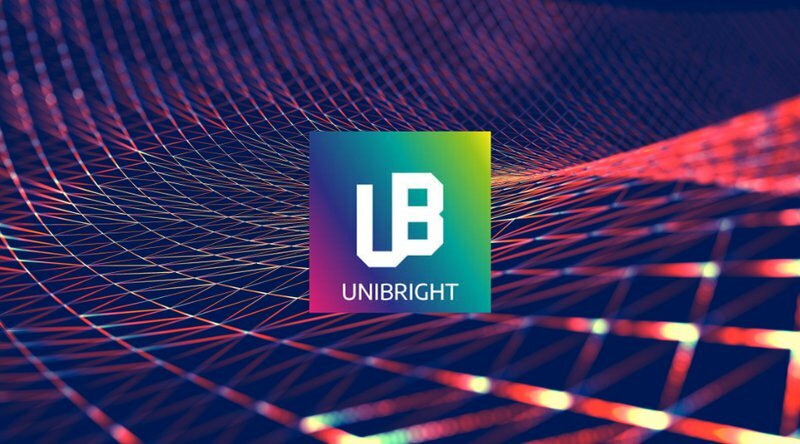 The Unibright Token (UBT) is an ERC20-compatible utility token that will fuel the Unibright platform.